One of the most famous names in British engineering is taking office space at IM Properties’ Blythe Valley Park (BVP) scheme on junction 4, M42. 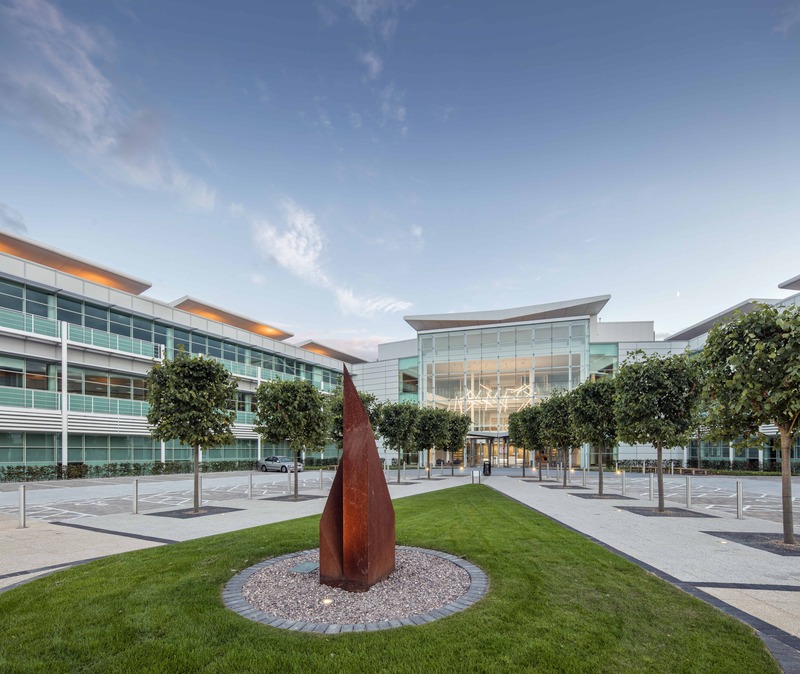 GKN Aerospace has signed up for 11,450 sq ft at One Central Boulevard (OCB), which has attracted a variety of quality occupiers since its £5 million refurbishment, which was completed in 2017. Now with just 10,000 sq ft remaining at OCB, it’s clear that IM Properties strategy for creating modern working environments with a strong wellbeing agenda is paying off. GKN’s estates director, Jane Leedham, said they were extremely pleased to sign up to OCB and hope to be in the new offices in the New Year. As part of IM Properties commitment to helping occupiers attract and retain top talent, it has invested significantly in the amenity offering on the park, bringing independent Coffee House Java Lounge to Blythe in a purpose-built unit. There is also a Virgin Active Health Club and Busy Bees daycare Nursery. Rob Hemus asset director for IM Properties added: “We’re delighted to welcome GKN Aerospace to our list of forward thinking occupiers at BVP. You only have to look at PKF’s award winning offices at OCB and innovators like technology communications company, Wavenet, to see they are in good company. Rob Added: “And look to the wider park and you can see Gymshark and its cutting edge offices making a statement for them as one of the UK’s fastest growing top 100 companies. Alongside the commercial buildings at BVP, which includes Connexion, a new 209,000 sq ft campus of five, high quality logistics and manufacturing buildings, IM Properties is creating up to 750 homes as part of ambitious plans to break the mould for business parks in the Midlands and create the first truly mixed-use scheme. Blythe Valley Park is an established master planned campus strategically located at the heart of the UK, surrounded by a stunning 122 acre Country Park and on-site leisure facilities. With approximately 1.2m sq.ft (130,064-sq.m) still to be developed, a unique opportunity exists to join our impressive list of current occupiers.